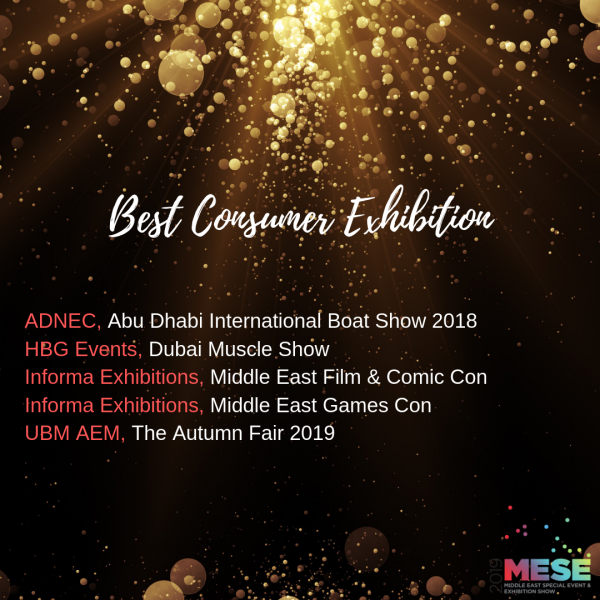 With seven months until the 2019 edition of the Abu Dhabi International Boat Show (ADIBS), the inaugural edition in 2018 is still generating buzz after being short-listed by the Middle East Special Event (MESE) in the Best Consumer Exhibition category. Attracting 21,123 attendees as well as 270 exhibitors and brands from 25 countries, the show’s maiden voyage has Abu Dhabi National Exhibition Centre (ADNEC) excited about preparations for their 2019 edition, scheduled from 16 to 19 October, as they anticipate 350 exhibitors and brands to participate. ADIBS 2019 will also build on the 2018’s example of playing a role in Abu Dhabi Economic Vision 2030 by providing boat builders and shipyards the opportunity to showcase what they can bring the marine industry in the region to support regional industry growth by introducing a dedicated pavilion for UAE boat manufacturers. The MESE Awards will be announced during the Middle East Special Event & Exhibition Show to be held at Madinat Jumeriah in Dubai on 8-9 April.